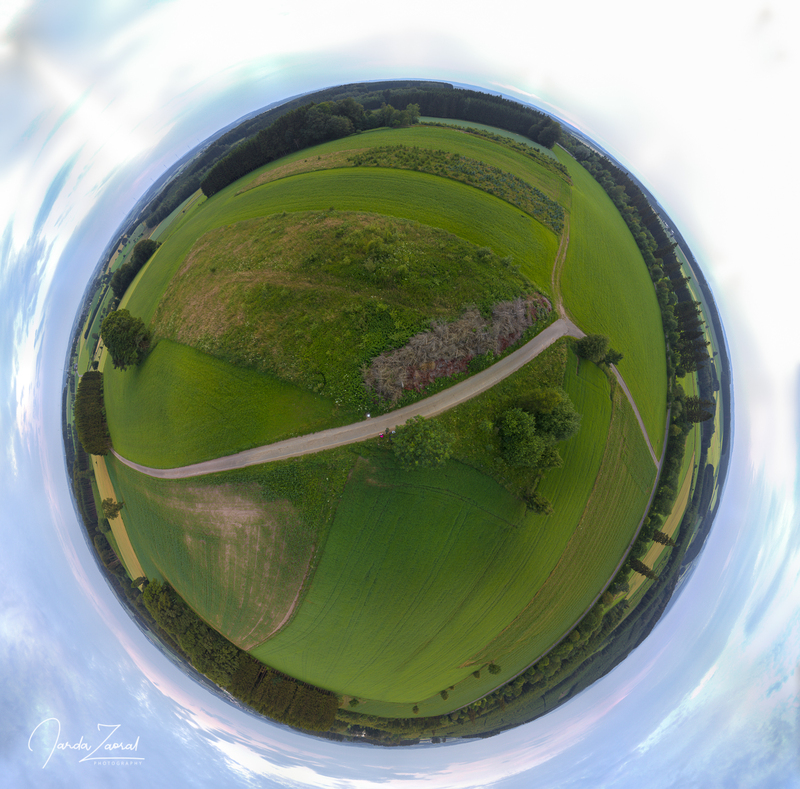 The highest point of Luxembourg has a similar story as the Danish mountain. Kneiff is a hill in northern Luxembourg, near the tripoint shared with Belgium and Germany. At 560 metres, it is the highest point in the country, only 1m taller than Buurgplaatz. At that point there is an observation tower so many people regard it as the highest. Unfortunately, I had to go to the highest one so I visited Kneiff, the most boring mountain so far where only a white stone on a road symbolizes the highest point. Follow the last part of my journey Tour de Benelux Peaks. 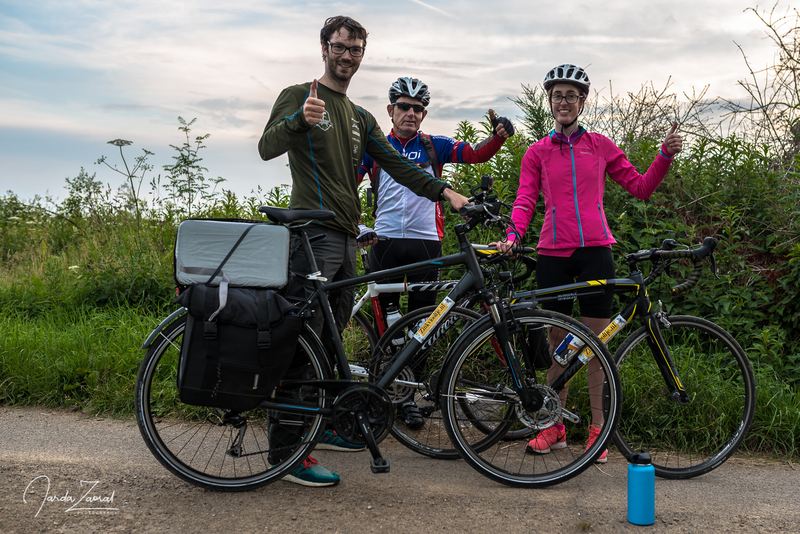 After filling up energy on the highest peak of Belgium we continued to bike towards Luxembourg. To my surprise, it went too smoothly. It looked like we were doing the longest downhill in Europe! 17km of mild downhill on a just recently rebuilt biking path from a previous railway is perfect for lazy bikers! Even after this part there were no difficulties. Those came as late as on 95km. A tough uphill showed up just before the border with Luxembourg. In addition it started to get darker so we had to hurry to our final destination. It couldn’t be a better timing than arriving to the peak Kneiff at sunset. We were happy to reach the peak before it got dark but we found out another problem. Our camping was closing in 20 minutes! Lucky for me and Joanne that Eiko (Joanne’s uncle) is a biking racer. He was nice to go in advance to the camp to secure a cabin for us. An hour later when Joanne and I arrived we saw that Eiko fixed our cabin just before closing time so we could successfully open the bottle of the most expensive beer in my life from the Dutch brewery La Trappe. This beer was aged in a red wine barrel and the taste was simply amazing. We couldn’t imagine a better drink as a celebration of our successful Tour de Benelux Peaks. The next day Joanne and I traveled on to Luxembourg city. It is regarded as one of the hidden gems of Europe so I was curious and the city didn’t disappoint. Its fortress and old city were just amazing. I had a very nice time with my girlfriend there. I hope she enjoyed it too. Since it was our last evening before 50 days without each other I planned to have a romantic evening with her with some nice dinner and local wine. However, the sunset was too romantic that I had to take out my camera and make some pictures. I am very happy with the result but I am not sure if she was too. The problem was that when I finished taking pictures all restaurants were already closed and I’m not sure if a dinner at a kebab kiosk fulfilled expectations. Good that I found probably the best burger restaurant in the whole Benelux the following day for lunch, so I could compensate for the dinner last night. Anyway, girls be careful if you decide to date a photographer. For me Luxembourg was so far the most interesting city. Highly recommended to visit. Go biking to Benelux. It is tough but definitely worth it. Our journey from Netherlands through Belgium was unforgettable. 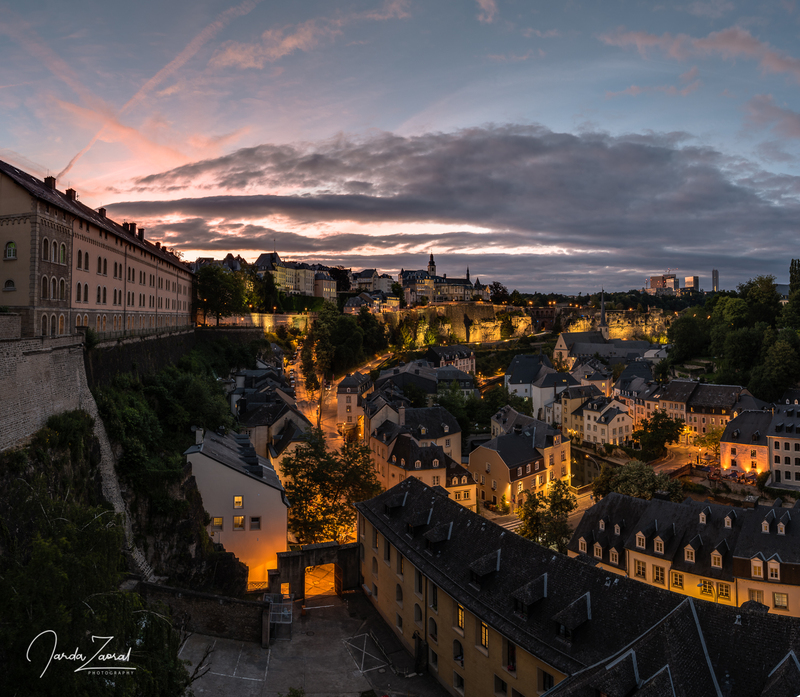 Once you are in Luxembourg, visit also the capital. The city is beautiful. I had there also one of the best burgers in my life.